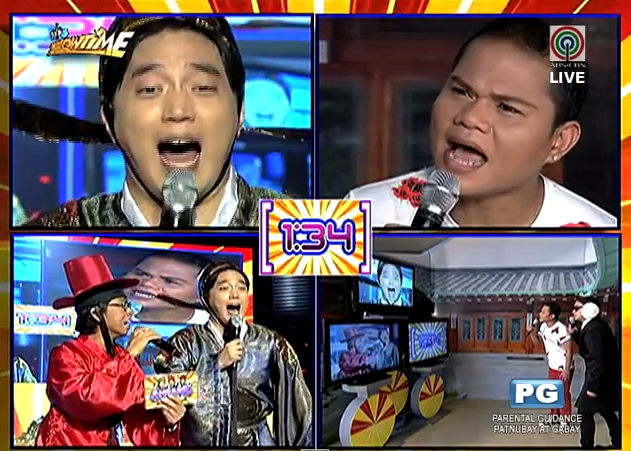 In the segment's debut ,Comedian Pooh and Brazilian model-host Daiana Menezes became the guessers of the words mouthed by Korean co-host Ryan Bang. The mechanics of the new segment 'Ansabe'?' is actually very simple.The mouth reader, who can see but cannot hear the other player,will just guess up to five words in two minutes without skipping it and each correct answer corresponds to a cash prize of P1,000. As the new hilarious segment debuted last Friday,April 17,the hashtag #Ansabe became one of the trending topic in twitter.